Mr. Frank Harris came to Maison Teche following a two week ICU stay after doctors removed two cancer spots from the upper section of his lungs. Weak and confused, Mr. Harris never lost sight of his goal to return home to his wife and family. Following a 55 day rehab stay, Mr. Harris met all of his goals following our PT, OT and ST rehabilitation plan. 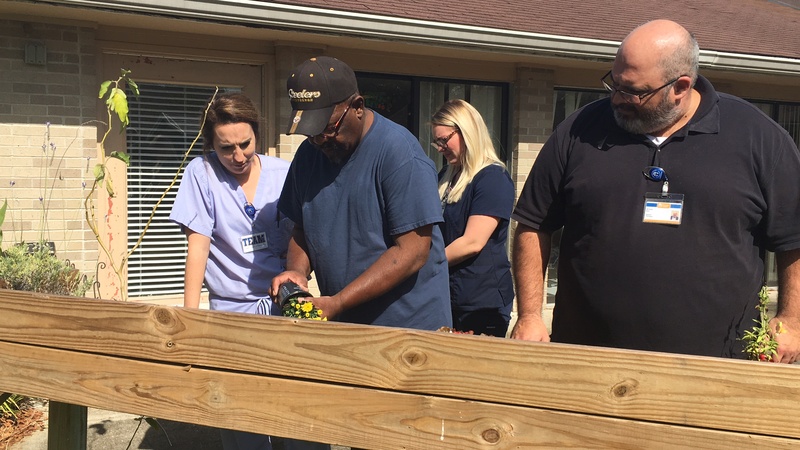 He credits the great care of the Maison Teche staff, his doctors and the Therapy Center team who all helped him meet his goals and return home fully independent. Mr. Harris returns weekly to say the rosary with residents and to visit those who may not have the family involvement he treasured. Please watch Mr. Frank’s Journey Home below! Mr. Frank Harris is not alone in his recovery success. For more success stories like this one, please visit our blog.